This year is all about the classic Veronica Lake inspired waves-not only on the red carpet, but for Brides too. Nearly all of my clients have been requesting this glamorous do and I couldn’t agree with them more. In fact…I’m planning on donning this stunning look for my own wedding this coming June. It’s timeless, carefree and uber romantic-the perfect look for any bride-to-be! Since we are all dying to steal this on trend look I decided to put together a super easy how-to that you can try out at home. STEP 1: Create an exaggerated side part on one side of your hair. Lightly spritz the hair with a heat protectant spray and separate the hair into three sections. Create two sections in the front from the crown of the head to just behind your ears, clip to the side. The last section is made at the back of the head. STEP 2: Start separating 2 inch sections of hair and wrap around the barrel of the curling wand away from your face. Carefully remove the wand from the heated section and clip in place before it unravels. Repeat all over the head until the curls are neatly set with the clips. Now chill-go do your makeup, listen to some tunes, answer emails…whatever you need to do, but wait at least 15mins while these babies cool down. STEP 3: Now that your locks have cooled, gently remove the clips from each curl and let them fall loose. STEP 4: Using your paddle brush, gently brush out your curls being careful not to over do it. Lightly brush each curl until it begins to take shape into those beautiful bouncy waves. The curls around your face should begin to create that classic s-shaped wave. A good tip is to lightly spray your paddle brush with some setting spray so that it keeps the curls in place without leaving them sticky. If you want to keep all the hair to one side a really simple solution is to twist a section of hair from your ear towards the larger section of hair where your side part lands-keep this twist down at the nape of the neck-use bobby pins to secure into place and spray lightly. Then voila-perfectly simple hollywood waves! Look what this lucky girl found in the mail yesterday!!! As most of you know, All Dolled Up Studio is working towards using only natural, organic skincare and we’ve been on the hunt for the best products. Introducing Elabloom! Created by like-minded friends, Tamara and Jane from Toronto, Ontario ,this Canadian born natural skincare line does not disappoint. I think we’re all becoming more aware of what harmful ingredients sneak their way into our skincare these days. I have recently become much more conscious of what I slather on my face and body every day and as a result I’ve taken steps to cleanse my bathroom cupboard of these toxic products. Elabloom is comprised of 12 pure plant extracts-that’s it!! No fillers, no parabins, no sulphites, no chemicals, period! This little bottle is packed full of natural goodness with ingredients like avocado, jojoba, camellia, rose hip and lavender. It not only has the prettiest packaging; which admit it girls-we care about how cute the labels are, but it’s packed with nourishing ingredients that leave your skin feeling super smooth and dewy. Most of you know that I’m tying the knot this June. I haven’t been doing much to “prepare” myself for the big day, but I have been super strict about my skincare regime to ensure that my skin is looking as fabulous and dewy as any blushing bride-to-be should look. I can honestly say that using natural skincare products has definitely improved the appearance of my skin-I’m a total believer. 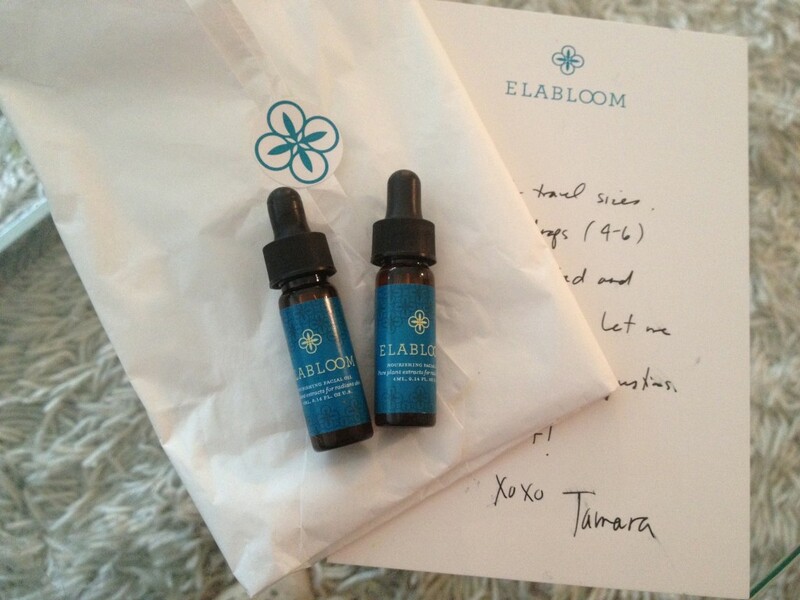 Getting my adorable little samples of Elabloom in the mail yesterday had me skipping to bathroom where I proceeded to apply a few drops of this luxurious oil to my freshly cleansed face. Wow! This silky smooth oil just melted into my skin leaving it feeling super hydrated. Oh, and the scent…it’s so pretty! I can’t really explain it any other way-it was floral, and fresh…soothing. I didn’t even feel the need to apply my moisturizer afterwards…but that’s the beauty of Elabloom. You don’t need an arsenal of products at hand. Elabloom’s nourishing oil can be used as a moisturizer, serum and an eye cream, all in one! How fab is that! I’m excited to continue with this product to see the long term results. So far so good. I woke up with dewy soft skin and can honestly say I felt different when I looked in the mirror. Elabloom can be purchased online for $48CAD: Elabloom.com You can also purchase their cute little sample sizes for only $12CAD. 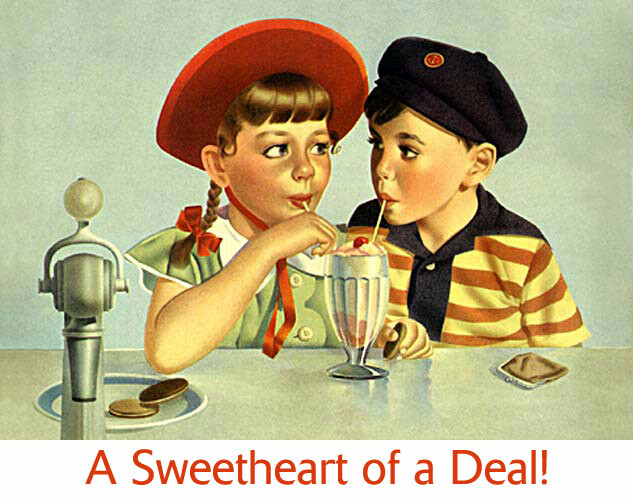 Love is in the air, and All Dolled Up Studio is feeling extra generous. To show just how much we love u we’re giving away a free Valentine’s Day makeup & hair session to one lucky new Facebook fan. Your complimentary appointment will be held on February 14th-so start planning your fabulous night out! 1.) Follow Us– Like our Facebook page HERE. Follow us on Pinterest HERE, Twitter (dolledupstudio) or Instagram (alldolledupstudio) for additional entries for each follow. 3.) Comment-Leave a post comment telling us about your best Valentine’s Day. Bonus: Every day that you share our link on your page you will earn 2 extra chances to win-yeah!